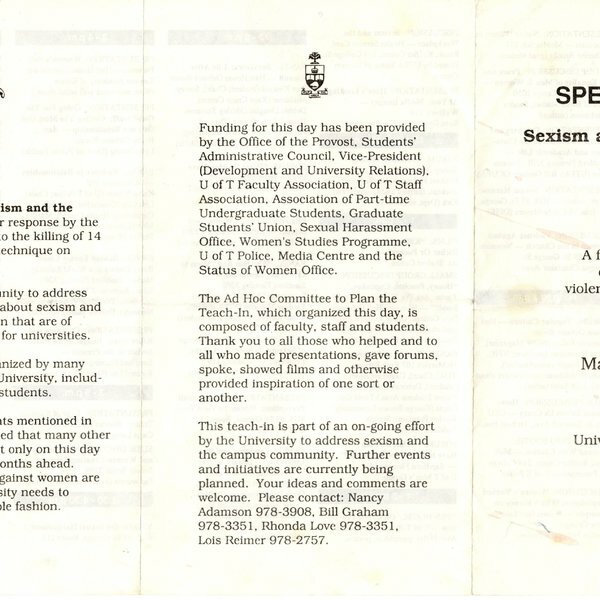 Event is a "response by the University of Toronto to the killing of 14 women at l'École Polytechnique on December 6, 1989." 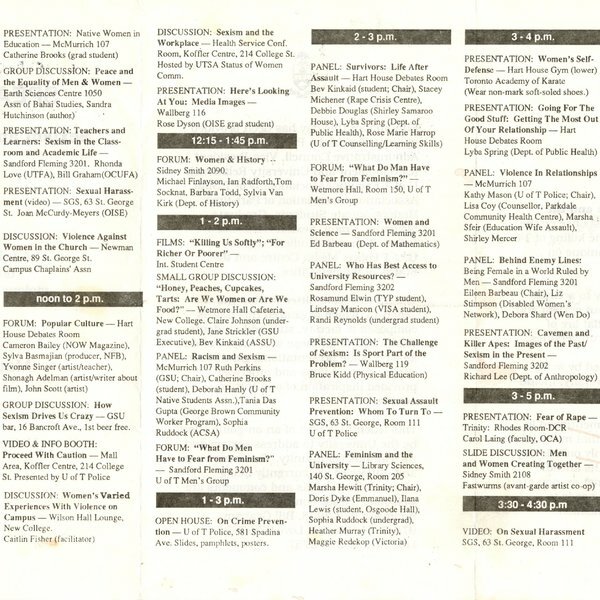 The pamphlet describes the days events. 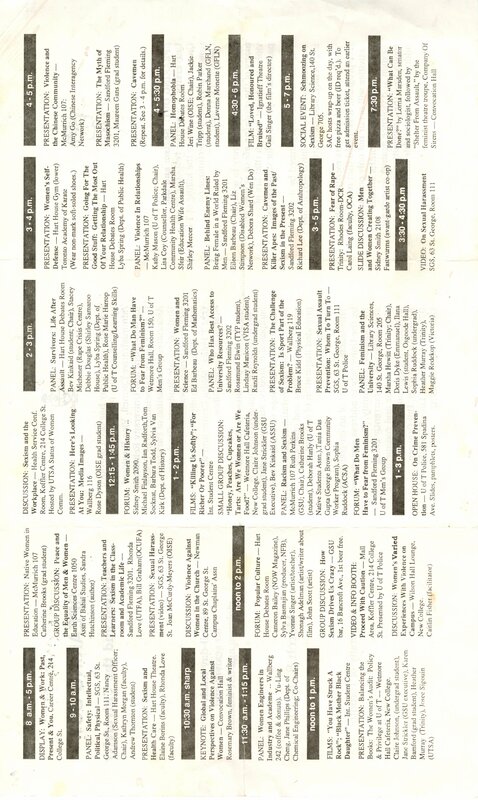 University of Toronto, “Speaking Out: Sexism and the University,” Alternative Toronto, accessed April 26, 2019, https://www.alternativetoronto.ca/archive/items/show/477.